This user contributes using Skype on SkypeID: dilip.barad. Dr. Dilip P. Barad holds Ph.D. degree from Saurashtra University and M.A. from Bhavnagar University where he teaches in the Department of English as a senior lecturer.He has recently (in Dec 2008) cleared GSET (Gujarat State Eligibility Test) for the eligibility for lecturership. He has vast experience of teaching communication skills to the students of Business Management and Commerce. He taught Business Correspondence and Communication Skills at NRV Institute of Business Management and JJCET Commerce College (Saurashtra University), Junagadh (Gujarat) for 10 years. He has presented research papers in several international and national seminars/conferences and has also published research papers in journals and magazines. He has done his Ph.D. research on Thomas Hardy and his areas of interest are CALL, Literary Criticism, use of ICT in TELL, Business Correspondence, Communication Skills, English Language and Literature. He has successfully completed C.I.C. (Certificate in Computing) from IGNOU, so he has first hand experience of distance education and have good exposure to SLM and OERs. He has applied for counselling for English course under Ambedkar Open University. and IGNOU courses for B.A., M.A. and other English Language Courses. Being co-ordinator of fully computerized, LAN based language lab (which runs under Ambedkar Open University. ), he has good experience of working for Open universities and he is associated with text book & material production for the same courses. Recently he is appointed as paper reviewer for GEMA Online Journal of Language Studies. GEMA Online Journal of Language Studies is published by the School of Language Studies and Linguistics, Universiti Kebangsaan Malaysia. The aim of this journal is to open up a venue for language researchers and practitioners in the areas specified below to share their theories, views, research results and classroom practices. The papers in the journal are published electronically on an on-going basis periodically. At the end of every two years, selected papers will be published in a hard copy book form. In view of that, GEMA reserves the copyright of all papers published in its journal. GEMA is an internationally refereed scholarly online journal. It is listed in DOAJ (Directory of Open Access Journals), the Linguist List, and in the Malaysian Abstracting and Indexing System (MyAIS) at the understated addressees respectively. 2. Co-Opt Member – The Board of Studies – Saurashtra University, Rajkot and Kutch University, Bhuj. (Gujarat State – INDIA). 3. Task Force Member – Digital English Language Lab (DELL) – The Project of the Commissioner of Higher Education, Govt. of Gujarat State, INDIA. 4. Core Committee Member – Knowledge Management Project for Faculty (KMPF) – The Project of the Commissioner of Higher Education, Govt. of Gujarat State, INDIA. 5. Resource Person – Academic Staff College, Gujarat University, Ahmedabad and Centre of Excellence, ITI, Bhavnagar. 6. Visiting Faculty – M.Phil (English) Programme - KSV, Gandhinagar. 7. Coordinator – SCOPE Centre and DELL (Digital ENglish Language Lab, Bhavnagar University. 8. Member - IQAC - Internal QUality Asurance Cell of Bhavnagar University. 9. Member - Publication Cell - Bhavnagar University. 10. Secretary - IndiaCALL, an affiliat of AsiaCALL. 11. President - Bhavnagar Chapter of ELT@I, English Language Teachers Association of India. 1. 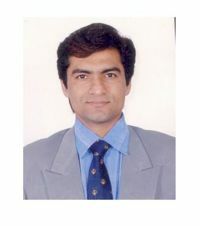 He has participated in REAP International Online Conference on Assessment Design for Learner Responsibility during May 29-31 2007. 2. He has participated in National Online Training on Self-Learning Material Development Workshop organised by STRIDE, IGNOU, New Delhi, India during 4-Aug-2008 to 26-Sept-2008). 1. SUETA - Saurashtra University English Teachers Association. To join this e-grop, send email to sueta-subscribe@yahoogroups.co.in. To post message to the group, send email to sueta@yahoogroups.co.in. 2. Knowledge Management Programme for Faculty, The Dept. of Higher Education, Gujarat State, Gujarat - INDIA. 3. Digital English Language Lab. 5. Commerce and BBA College. 6. DELL for Task Force Members and District DELL Coordinators. 8. Bhavnagar University English Teachers Association. 1. Conducted workshop on "Language Lab and SAC (Self-Access Centre)" as resource person with Dr. Kalyan Chattopadhyay in 4th International ELT@I Conference, Chennai, INDIA. 2. Presented a paper on 'Divergent Learnig Styles' in 4th International EL@I COnference, Chennai, India. 4. AsiaCALL 2008, Thailand: Conducted workshop as co-resource person with Dr. Kalyan Chattopadhyay on Enhancing Listening and Speaking Skills Using Advanced Sound Editing Software. 5. Conducted workshop on Audacity and ELT at National Conference on Technology in ELT. Jan 2009. 6. Presented paper on WikiEducator at National Conference on Technology in ELT. Jan 2009. 7. Participated as a DEBATOR in National Seminar on 'Modern Theories and -isms in Literary Criticism' at Jetpur College in Gujarat. March 2009. 9. As a Resource Person, conducted session on 'The Role of District DELL Coordinators and E-Groups' in the Workshop on 'The Role of District DELL Coordinators' at GCERT, Gandhinagar, Gujarat (INDIA) on 7 and 8 Nov 2009. 1. To Spell or Not To Spell Correctly Published in VOICES by IATEFL, University of Kent, UK. Issue - 210. September-October 2009. ISSN: 1814-3830. How to cite this article: Barad, D. P. (2009). To Spell or Not To Spell Correctly. Voices, (210), 32. 3. "Identifying Best Teacher: A Process with an Empirical Approach" has been published in University News (Vol. 46, No. 35, Sept. 01-07, 2008. ISSN: 0566-2257 Page no. 18) How to cite this article: Barad, D. P. (2008). Identifying Best Teacher: A Process with an Empirical Approach. Univeristy News, 46(35), 44. 4. Book Review:"Dalit Literature: A Critical Exploration Published in Contemporary Vibes (English Quarterly). Vo 4; Issue 13. OCt-Dec 2008. Chandigarh - INDIA. 5. The Concept & Practices of Assessment in Higher Education of the Present State & Implementing the Practice of Quality. Published by Christ College, Rajkot - INDIA. Click on slide to see the cover page of the books recently published. Click here to View Certificate, which is awarded as the participant have successfully participated and prepared SLM on Literary_Criticism in this workshop. CLick the below given link to read his SLM. Office Address: Post Graduate Department of English, University Campus, Gaurishankar Lake Road, Bhavnagar University, Bhavnagar, Gujarat - 364002. INDIA. Residence: Plot No. 1580, Block No. 3, Soham Society, Behind Theosophy Lodge, Rupani Circle, Bhavnagar - 364002. Gujarat. INDIA. Click Dilip's Presentations to view more presentations. Click on slide to proceed. 1. Click to join the course on Literary Criticism. Read the unit and then go to TELL and enroll for this course. 2. Click to join the course on NET / GCET paper 1 and 2. Click NET/GSET to join this course. 3. Spellings - To Spell or Not to Spell Correctly? Hello and welcome to EL4C23, a free online wiki skills workshop. To add your profile, copy the Profile template headings (you can always edit or add more information later), "go back to the previous page" (your userpage) click on "edit" at the top of this page, paste the template headings, scroll down to the bottom of the page, check "watch this page" box and click on "save page". Please feel free to remove the welcome message. Enjoy the workshop. Today is : 22, April 2019 You are watching these stats at 12:17 Hrs. This page was last modified on 22 June 2010, at 11:04.